There are quite a few oral surgeons here in San Francisco, and many of them are very good indeed. However, if you have need of oral surgery, how do you find the best oral surgeons in San Francisco? We believe that our Dr Rabinovich is one of the best oral surgeons in San Francisco because he takes the trouble to get to know each patient as an individual in order to work out the best possible solution for your oral surgery needs. As far as Dr Rabinovich is concerned, every patient is an individual and has individual needs, so he assesses the needs of each patient on that basis rather than on a “one size fits all” basis. We regard your first visit to our office as extremely important, both for you and for Dr Rabinovich. He will listen to your worries and your expectations and he takes the time to insure that you understand everything about your particular condition and the treatment necessary, including all the options that you may have. He will then provide you with your own custom treatment plan. Most of Dr Rabinovich’s patients have found that this personal touch and attention to detail makes him one of the best oral surgeons in San Francisco and enables them to be comfortable enough to carry on with the correct treatment. Many procedures can be carried out in one visit in any case, although more complicated treatment may need more than one visit. If you have been referred to Dr Rabinovich by your dentist or doctor, please bring your referral slip with you. If not, please let us have the name of your dentist so that we can keep him informed of your treatment and progress. 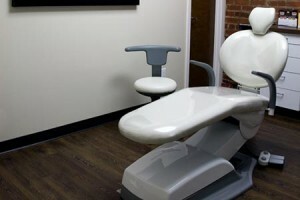 If you do not currently have a dentist, we can provide some recommendations. If your dentist has already taken X-rays you can ask him to forward them to Dr Rabinovich. Please also provide the names and doses of any medication you are taking, and any information that you have regarding medical conditions that you have had previously. As far as insurance is concerned, our office will take every care to maximize your insurance reimbursement. Please bring your insurance papers or information with you so that we can help to do this. If you do not have insurance, or insufficient insurance, we have many different finance options for you including plans with no interest payments over a period of up to 24 months, extended payment plans up to 48 months, and plans with no down payment, no application fee, and instant credit approval. This entry was posted in Blog and tagged Best Oral Surgeons San Francisco, oral surgeons on April 7, 2019 by Jason McDonald.